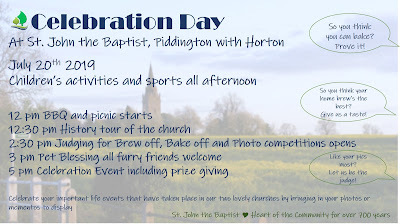 Come and spend the afternoon with Bishop John! Looking at pictures of our lovely churches and the precious moments we have enjoyed there! See if you agree with Bishop John on his decision for the winning bakes and brews. For more info see below! Not long to go now until the big day - to help you build up the anticipation here are our services during Holy Week! Were you part of the conversation last week? Do you want to find out what others were talking about? 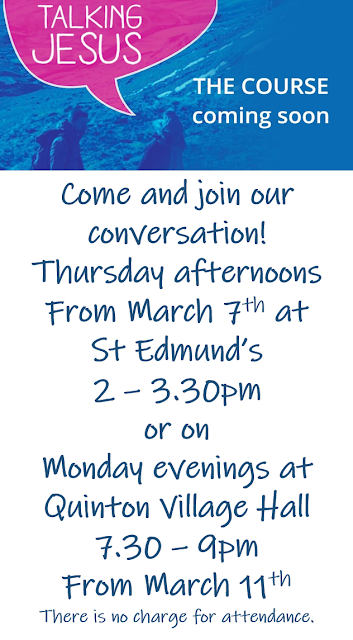 Then get yourself along to the Lent course, so you too can be part of the conversation and know what everyone is talking about! Bored of watching Bargain Hunt at lunchtime? 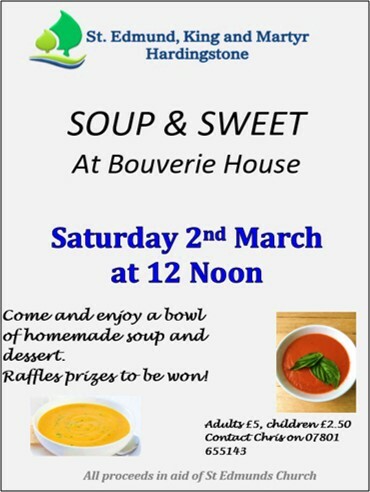 Come and join in with our Soup and Sweet lunch instead - details above and help raise money for St Edmunds as well as meeting up with old and new friends!